For several years, Artificial Intelligence (AI) has been burrowing its way into our cultural practices and paradigms across areas like medicine, manufacturing, engineering, entertainment, education — and the list goes on. Yet for many people, their most frequent touch point with AI is not related to what they do or use: it is reflected in how they converse both formally and informally. 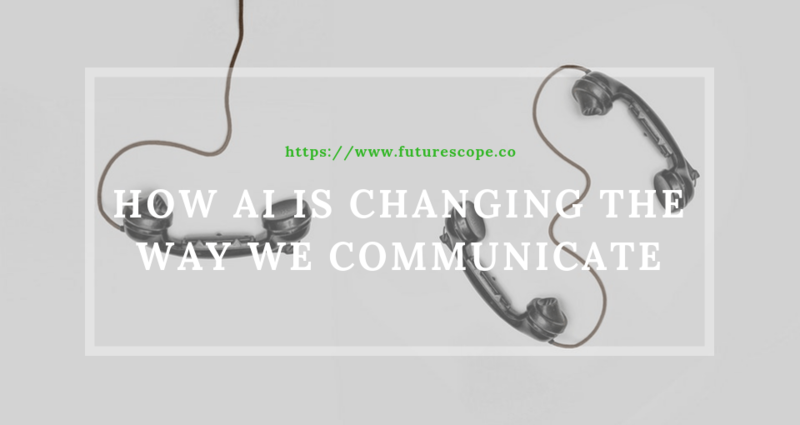 According to CEO, entrepreneur, branding guru, and leadership consultant Chet Harding, here are the key ways that AI is changing how, why, where, and even when we communicate. While chat-bots are still in their relative infancy — and frankly, some are still trying to shake off their Jeston’s-like rigidity — it is just a matter of time before customer service is not just enabled by AI but driven by it. The idea is not to completely replace human customer service agents with chat bots, but to liberate them from handling administrative and clerical tasks, so they can focus on escalated issues and provide enhanced value. Everyone wins when that happens, from customers to employees to employers. Looking Ahead Like technologies that have come before (remember, the good ol’ railroad was once an astonishing game-changer), AI is not a panacea that will solve all problems; in fact, we can be certain it will create its fair share of challenges. However, this much is certain: the AI hype, while sometimes a little hard to take, is essentially warranted. It has and will change how we communicate, and in the big picture, how we experience life itself — in ways that we can imagine and, indeed, in ways that we cannot.